what is hypnobirthing - the mongan method? 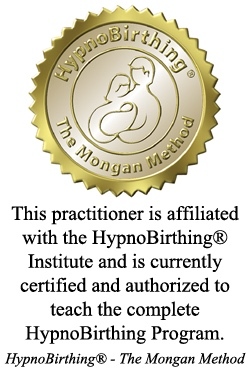 HypnoBirthing - The Mongan Method is a method of relaxed, natural childbirth education enhanced by self hypnosis techniques. HypnoBirthing encourages a calm, peaceful, and natural pregnancy, birth and bonding experience for families. The HypnoBirthing techniques allow women to use their natural instincts to bring about a safer, easier, and more comfortable birthing experience. HypnoBirthing allows your birthing partner to fully participate in the birthing experience by leading the birthing mother through techniques which will allow her body to enjoy a calm and natural childbirth. HypnoBirthing classes are appropriate for any stage of pregnancy after the third month. Attending and participating in classes early on in your pregnancy is optimal and will give you more time to practice daily relaxation and self-hypnosis.